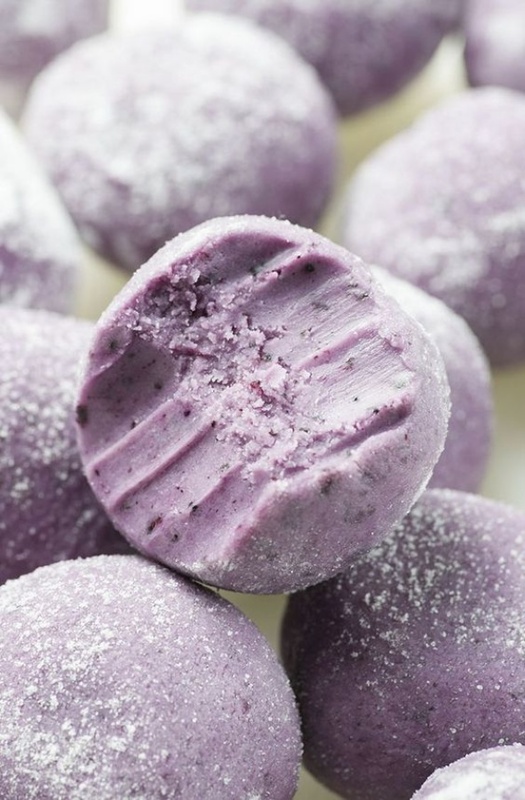 White Chocolate Blueberry Truffles By Vera Z from Oh My Goodness Chocolate Desserts. Simple no bake dessert recipe with only 5 ingredients: white chocolate, butter, heavy cream and dried blueberries, roll into powdered sugar. NO ARTIFICIAL COLOR OR FLAVOR ADDED!